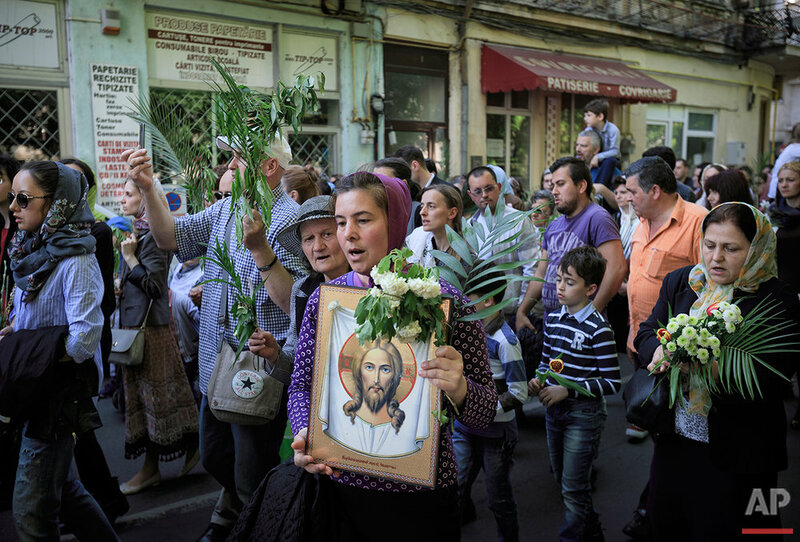 Holding palm fronds and flowers, thousands of Romanians took part in processions and services as they celebrated Orthodox Palm Sunday. 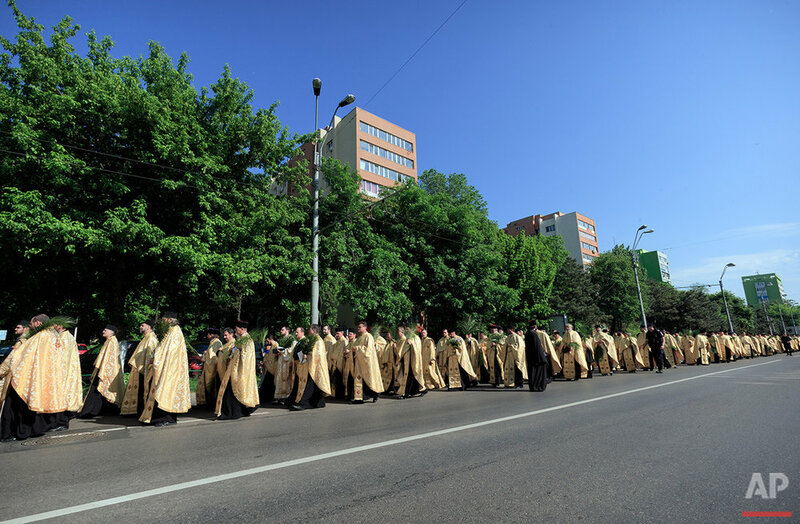 In Bucharest, dozens of priests dressed in gold-colored cassocks, led a procession outside a Romanian Orthodox patriarchal cathedral to mark the Sunday before Easter when Jesus made a triumphal entry into Jerusalem. Worshippers of all ages joined processions at churches throughout Romania. More than 85 percent of Romanians are Christian Orthodox and there has been a faith revival in recent years. 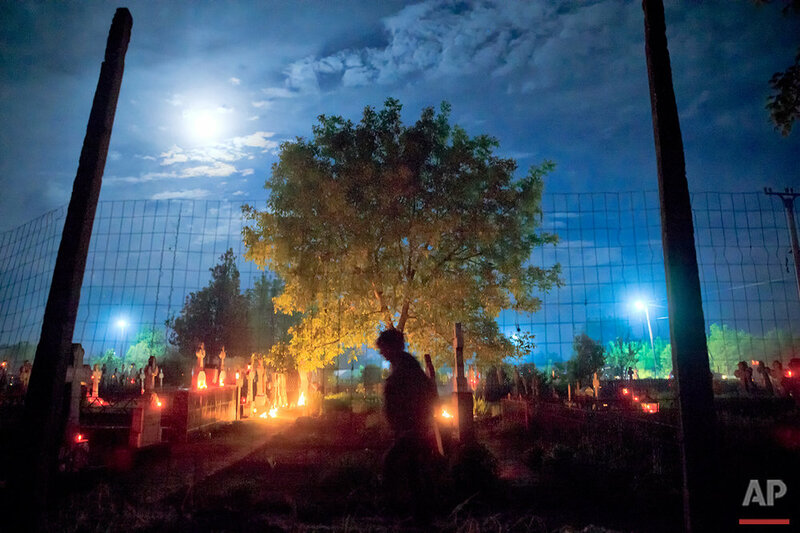 In the village of Herasti, in southern Romania, believers gathered for a traditional memorial in honor of the dead. Orthodox believers met at the village cemetery at midnight, lit fires at the graves and shared food in memory of their dead relatives. This year there is a five week difference between the day Western Christians celebrate Easter and Orthodox Easter. The Orthodox Church follows the Julian calendar, and the Catholic and Protestant Churches adhere to the Gregorian calendar, meaning they often celebrate Easter and other feast days on different dates. 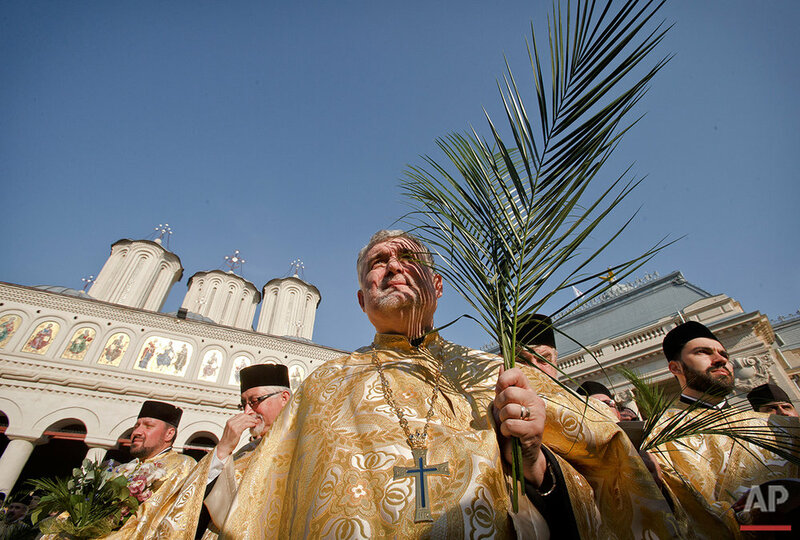 Text from the AP news story, Thousands celebrate Orthodox Palm Sunday in Romania.